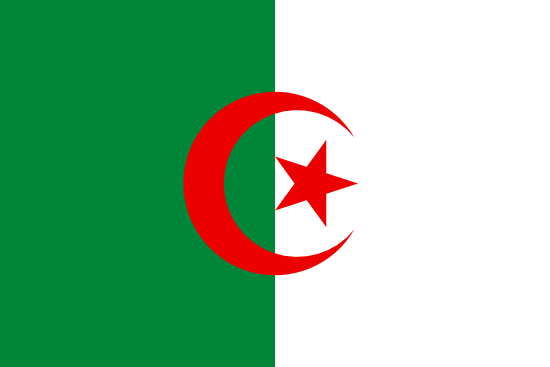 The focus of this domain is on the European Neighbourhood Policy (ENP) countries on the southern and eastern shores of the Mediterranean (ENP-South), namely: Algeria (DZ),Egypt (EG),Israel (IL),Jordan (JO),Lebanon (LB),Libya (LY),Morocco (MA),Palestine (PS),Syria (SY) andTunisia (TN). An extensive range of indicators is presented in this domain, including indicators from almost every theme covered by European statistics. Only annual data are published in this domain. The data and their denomination in no way constitute the expression of an opinion by the European Commission on the legal status of a country or territory or on the delimitation of its borders. Data cited at: The World Bank https://datacatalog.worldbank.org/ Topic: Africa Development Indicators Publication: https://datacatalog.worldbank.org/dataset/africa-development-indicators License: http://creativecommons.org/licenses/by/4.0/ Africa Development Indicators (ADI) provides the most detailed collection of development data on Africa, compiled from officially-recognized international sources. It presents the most current and accurate global development data available, and includes national, regional and global estimates. Bloom Consulting was founded in 2003 as a Nation Branding consultancy. Our Headquarters are located in Madrid, with offices in Lisbon and São Paulo. Bloom Consulting has been interviewed by The Economist, Forbes and CNN . According to Country Branding Central www.countrybrandingwiki.org, our CEO José Filipe Torres, a recurrent lecturer in Universities such as Harvard, is considered one of the top 3 international experts in the field of Nation Branding, Region and City Branding, providing advisory for the OECD. In addition, Bloom Consulting publishes the Bloom Consulting Country Brand Ranking © annually for both Trade and Tourism, to extensively analyze the brand performance of 193 countries and territories worldwide and the Digital Country Index - Measuring the Brand appeal of countries and territories in the Digital World. Passport Index is an interactive tool, which collects, displays and ranks the passports of the world. You can discover the world’s passports on a map, by country name, by Passport Power Rank and even by the color of their cover. Visa Free Score Passports accumulate points for each visa free country that their holders can visit without a visa, or they can obtain a visa on arrival. Passport Power Rank Passports are ranked based on their Visa Free Score. The higher the Visa Free Score, the better the Passport Power Rank. Methodology The country list is based on the 193 UN member countries and 6 territories (Macao, Kosovo, etc.) for a total of 199. Territories annexed to other countries such as Norfolk Island, French Polynesia, etc. are excluded. Data is based on research from publicly available sources, as well as information shared by government agencies. Location:-Visitors are coming from mentioned location. (World is total of all visitors) Nationality:-Nationality of visitors, whether the nationality of the visitors is same as the location or they belong to different nationality. (Under this dimension "Total" represents total number of visitors by their nationality) Ports:-Tourist arrival via ports.